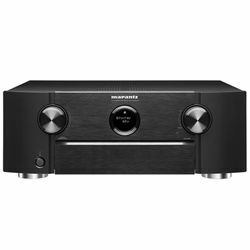 Marantz SR6012 vs Marantz SR7012: what will be the best option for you and why? These two models are built-well. Marantz always pays special attention to the quality of their products, without forgetting about the quality of output sound and video. These two models have many wonderful features, like reliable wireless components that can establish a high-speed connection with your devices. These modules allow you to use HEOS. These two models also support the Alexa voice control technology, but the Alexa device is sold separately. Nevertheless, there are some differences if we compare Marantz SR6012 vs SR7012. The total power output is where SR7012 wins – 950 W versus 900 W that has SR6012. The difference is not that huge, but it is still there. Plus, SR7012 is newer and it may not have the flaws that SR6012 has. Another great feature that SR7012 has is that it supports three zones, which can be easily controlled via a user-friendly application. The advantage of Marantz SR6012 is that it has many audio enhancement technologies that guarantee clear and rich sound without any distortion even if you set the volume to the maximum. For example, it has a function that makes dialogues sound clearer. The disadvantage of this model is that some models have unreliable HDMI boards installed. However, new models should not have this issue anymore. The advantage of SR7012 is that it supports 3 zones. You can easily control everything using an application on your device. It also has many audio enhancement technologies. The disadvantage of this model is that it may have some issues with a cable box. 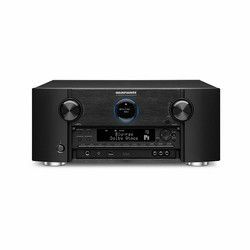 Choosing what to buy - Marantz SR7012 vs Marantz SR6012, you should clearly understand what you want to get. 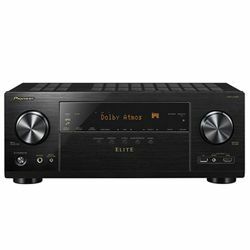 Both models are ready to provide you with amazingly clear sound, but if you want to get the maximum and you want a receiver that will become a heart of your multimedia system that includes many speakers in different rooms (or even outside your house) then SR7012 is for you. 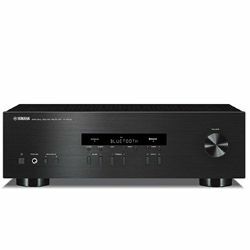 If you need a high-performance receiver with many great features then Marantz SR6012 will be perfect for you. Do not forget about the price as well, since the difference is impressive and it may be the factor that will help you choose the model. This model supports the Alexa technology. The high-grade wireless modules allow you using the HEOS technology. This model outputs clear and rich sound. Easy to set up and configure due to the smart, user-friendly Audyssey auto-tuning system. Many audio enhancement technologies that can make dialogues sound clearly. Many inputs that allow you connect all devices you have. Plus, a reliable wireless module. Some models have an unreliable HDMI board that may fail, which results in issues with video output (artifacts). It is compatible with the Alexa voice control technology (the device is sold separately). The reliable wireless module allows you to use the HEOS technology without experiencing any lags. This model also supports DTS:X and Dolby Atmos. 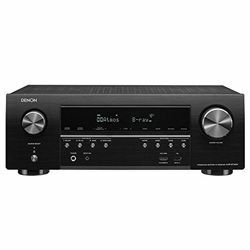 Good audio output (no noise or distortion) due to high-grade components used, like DAC. The precise Audyssey and the user-friendly UI makes the configuration process fast and easy. The HEOS application has many features that allow you to control almost anything. It may not recognize signals from a cable box.